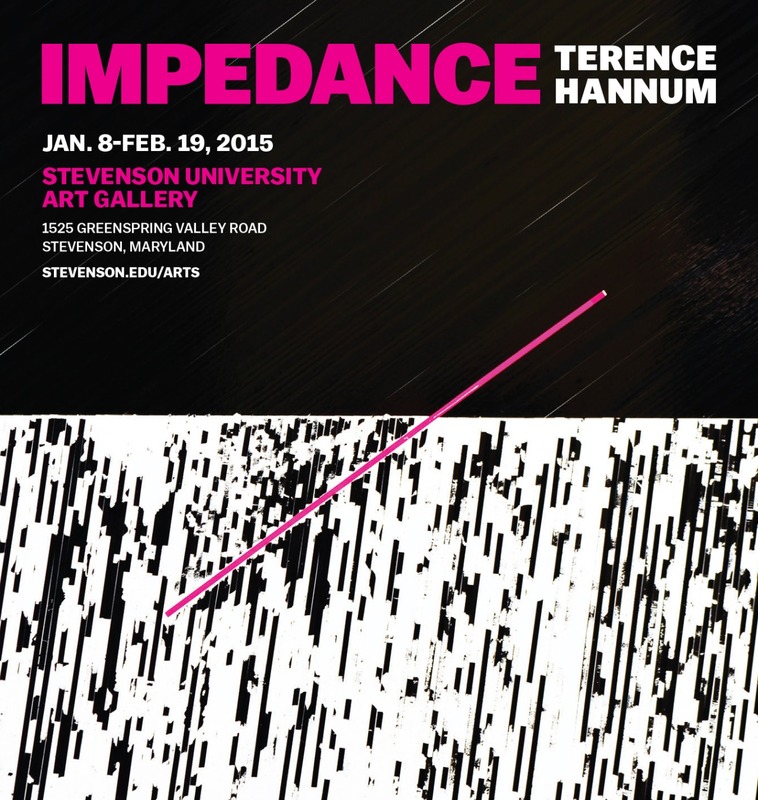 My solo show IMPEDANCE opens next week 02/04 at STEVENSON UNIVERSITY GALLERY from 6-8pm. Terence Hannum's exhibition Impedance features collages and sculptures made while at the Vermont Studio Center in the summer of 2014. All of the work centers around acts of destruction committed to commercial audio cassette tape, using the peeled lines of ferric magnetic dust, glossy black cassette tape, brightly colored leader tape and stacks of cassette tape spools. Many of the pieces divide, or impede, a motion in space. These works address the tradition abstraction by introducing corruption, decay and anti-form. Impedance will also be accompanied by an essay by Chris Hosea. Hosea is an American poet and winner of the 2013 Walt Whitman Award from the American Academy of Poets and the author of Put Your Hands In (LSU Press 2014).